“This amendment to IEEE Std 802.3-201x increases the maximum PD power available by utilizing all four pairs in the specified structured wiring plant. 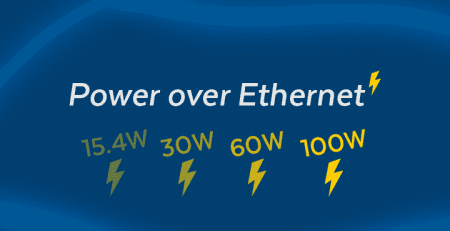 These enhancements solve the problem of higher power and more efficient standardized PoE delivery systems.” Approved Draft Standard for Ethernet, Amendment 2, Power over Ethernet over 4 Pairs. 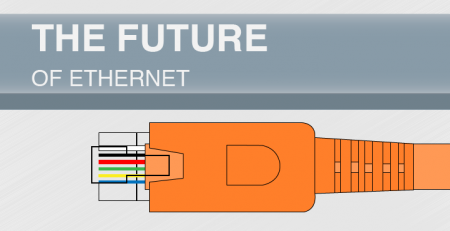 Millions of devices are currently receiving data and power from this single cable solution. Expect to see these numbers mushroom in all sorts of areas. This includes smart buildings in sensing cities where lighting, HVAC, and occupancy relies upon the intelligence of PoE enabled sensors. PoE is rising to the challenge of providing the wall-outlet AC equivalent to the IoT devices ecosystem now emerging on the scene. Another challenge will come in determining if existing infrastructure is up to the task of these higher levels of power. 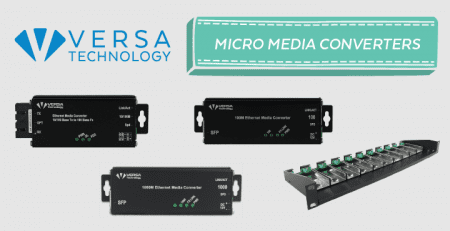 IT admins, integrators, and installers will want to have a quick, reliable way to check if their IT networks can support higher power budgets, which is why Versa thought this article would be of interest. 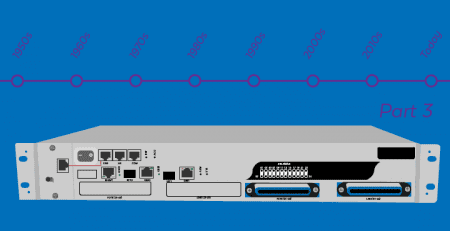 Last week, Reach Technology officially launched their PoE5 100W 24-port tester to allow networking teams a way to measure if switches are fully functioning at the port-level, and if not, at what levels of power they are delivering. While this unit is essential for manufacturing product tests, it definitely has a place in enterprise IT where admins need to maintain optimal network performance. The Reach Technology PoE5 100W tester provides a cost effective per-port test unit which verifies the Power Sourcing Equipment (PSE) is properly functioning. PSE manufactures adopting IEEE 802.3bt PoE used in many Multiport Ethernet Switch, Midspan, and other new IEEE 802.bt-2018 controllers will want to test to this new standard. The PoE5 can help identify equipment failures before they happen by allowing a clear way to determine what upgrades are required to keep LANs functioning at peak through the transition to higher powered PoE-device ecosystems. Additionally, the PoE5 supports multirate traffic of 2.5G, 5G, and 10G speeds. All channels on all units are verified to provide a Cat6A compliant data path. The PoE5 Tester is used to verify a Multiport Ethernet Switch (PSE side) is functioning properly testing power load on each port. While the RT PoE5 tester doesn’t not provide compliance and LLDP testing it can achieve a low cost-per-port and repeatable testing on your development and testing needs. Many PoE customers are using this tester for R&D development, firmware changes, port setup and in production manufacturing for Go, No Go testing. Reach Technology provided a real-life situation to help understand ways IT staff can utilize the tester. If a central 24-port high-power switch has a single port failure, not only is the end user inconvenienced (no lights! ), but the whole switch may need replacing. The tester gives a final stress test to ensure that the complete unit, from internal power supply and cabling to the RJ45 jack connectors, and avoids common initial installation failures and provides the level of reliability that is expected of power infrastructure. This unit will help enterprise professionals measure the performance levels of their existing switch equipment and replace those units that aren’t up to the task. Versa offers an excellent upgrade option—the Versa VX-GPU2626 L2+ 24-Port Managed GbE UPOE Switch. 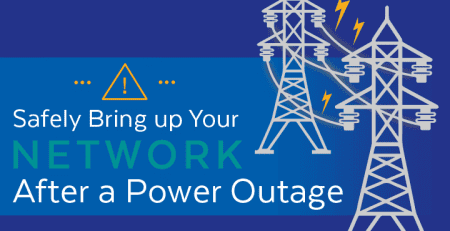 For networking professionals, the goal is always 100 percent uptime. It’s a big deal especially when you realize some of the ways IEEE 802.3bt will support intelligent technology and make life better and safer. The 802.3bt PoE 100W power increase now opens remote and lower cost installation alternatives to a host of new devices. To paint a picture of the technologies where IEEE 802.3bt will appear, here is a list of the device networks where having this tester will help ensure you have the robust capability your system requires. Smart lighting adapts to changing work environment, enhancing well-being and productivity. LED bulbs can last up to 50K hours. That is an average of 50 times longer than incandescent, 20-25 times longer than halogen, and 8-10 times longer than CFL, and at substantial energy savings. It can share a network switch and be upgraded or reprogrammed inexpensively. Additionally, the Ethernet infrastructure that supports LED lighting solutions, like the SmartCast Intelligent Lighting System manufactured by CREE, and is super simple to install eliminating the need for costly electricians. The benefit, variety of implementation, and beauty of digital signage is extraordinary. These technologies have come a long way in a very short time. A content manager at a PC with the right software and a digital sign and do amazing things to improve the quality and value of outward facing business communication. And, it usually only takes a couple of hours to get a system up and running. Having 24/7 access to the entry point security control into a home or business from one centralized device, such as a smartphone, can give a parent or manager peace of mind. Smart access points store security policies, aggregate historical data, and other features to protect people and vital assets. CCTV and IP camera systems operate in a similar fashion. Ethernet has long been associated with security system installations because it allows remote placement of devices without the need for additional power sources. 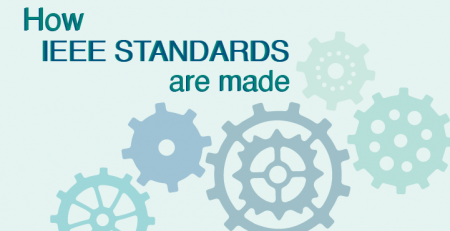 resolution reading and automated compliance for use in diagnostic testing. Lower quality devices lose their brightness over time. A good medical display will retain the brightness required to detect subtleties in a patient x-ray. In other words, not only will IEEE 802.3bt make the places we live and work safer, brighter and more comfortable, but it will also help doctors save lives. Not a bad result for an increased limit of 100W power per port. 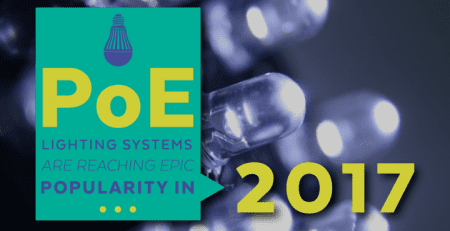 This new IEEE standard opens the floodgates, for the PoE market and powered switch (PSE) suppliers and PoE power LED lighting controllers, IP camera and other PoE powered devices. And, although a mountain of brand new devices are coming our way, the infrastructure that will support them is going to be a little more checkered, at least when it comes to newness. Installation customers will need to stretch their budgets and prioritize networking equipment updates while we transition. That is where the PoE5 comes in. It will give networking pros a tool to measure the “life” that’s left in their existing infrastructure and support the marvelous things end users are doing with that 100W power increase. To learn more about the PoE5 Tester by clicking on this link. As always, if one of Versa’s analysts can assist you with putting together a bid, we’d love to hear from you.